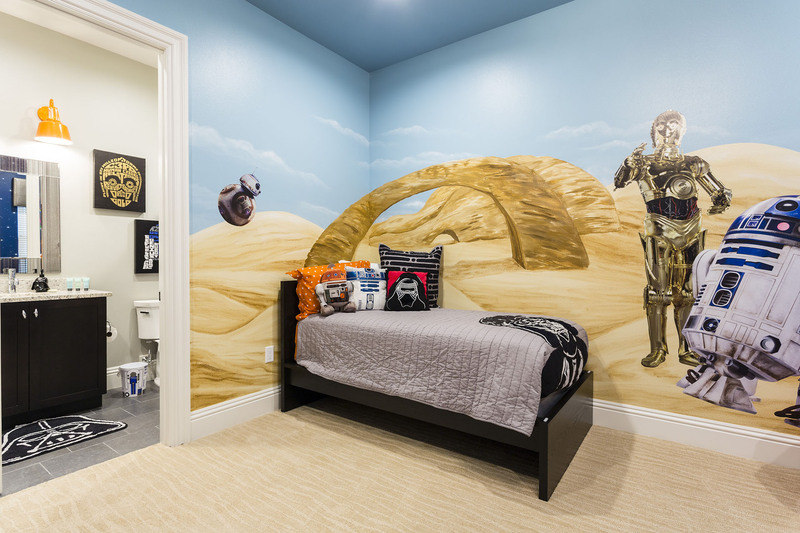 In one of my recent posts I featured a home where the designer really got creative in some of the theme rooms. Well, I was equally impressed by a vacation home I photographed this month where the owners themselves added some very unique touches to the home. 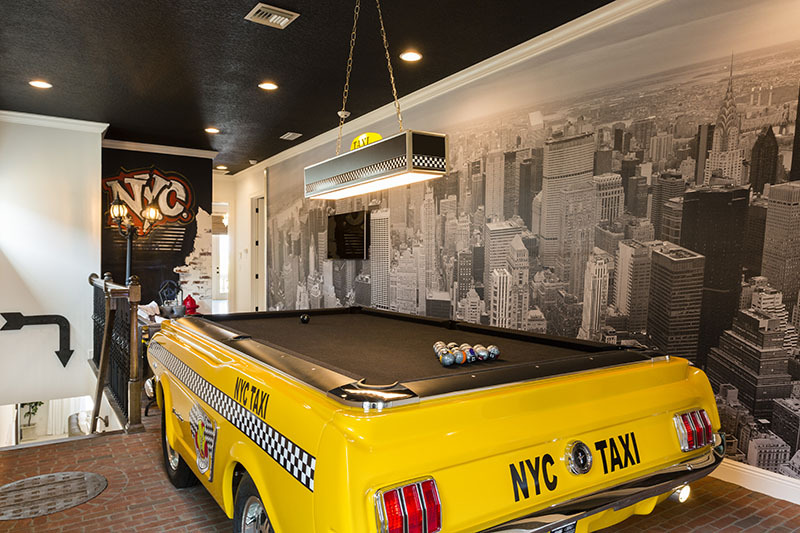 Take the New York City inspired loft complete with a taxi-cab pool table, subway signs, brick floor and full-sized wall mural of the skyline. 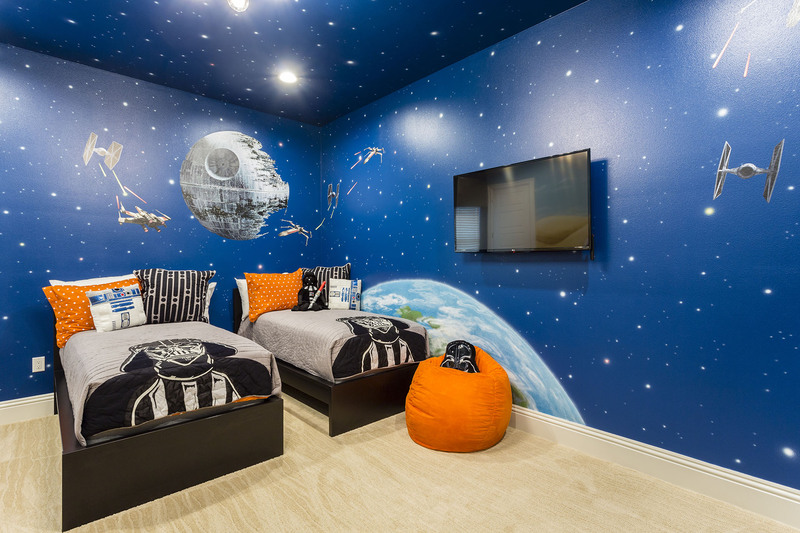 Then there’s the outer space room. I don’t think I’ve ever seen silver sheets! 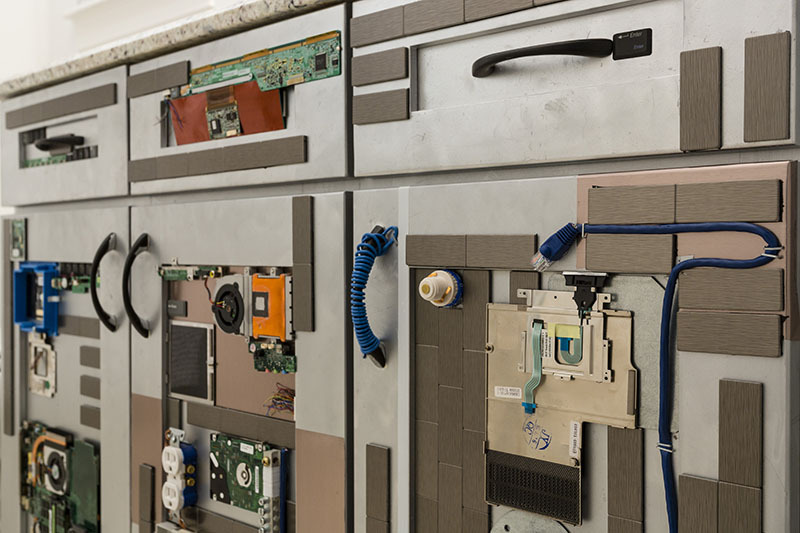 In the bathroom, the cabinets look like control panels made by adding computer parts. 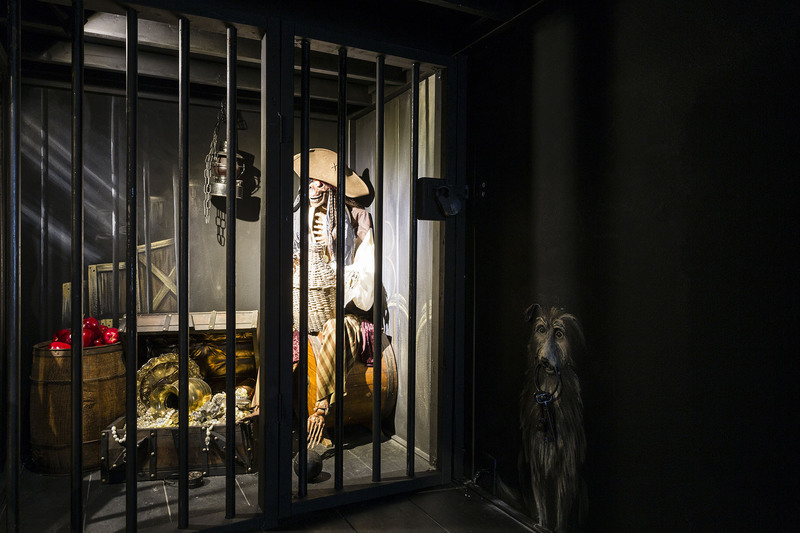 This is the “Around the World in 80 Days” room. 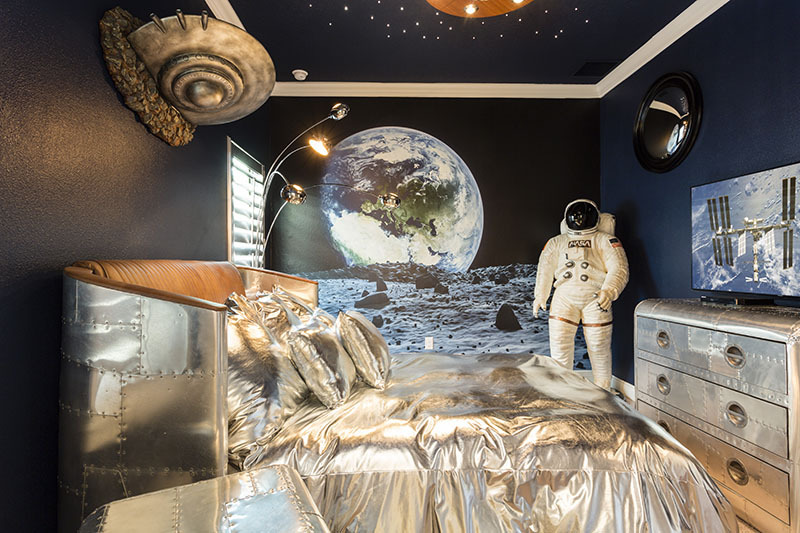 Notice the sandbags on the bed to complete the hot-air balloon motif. 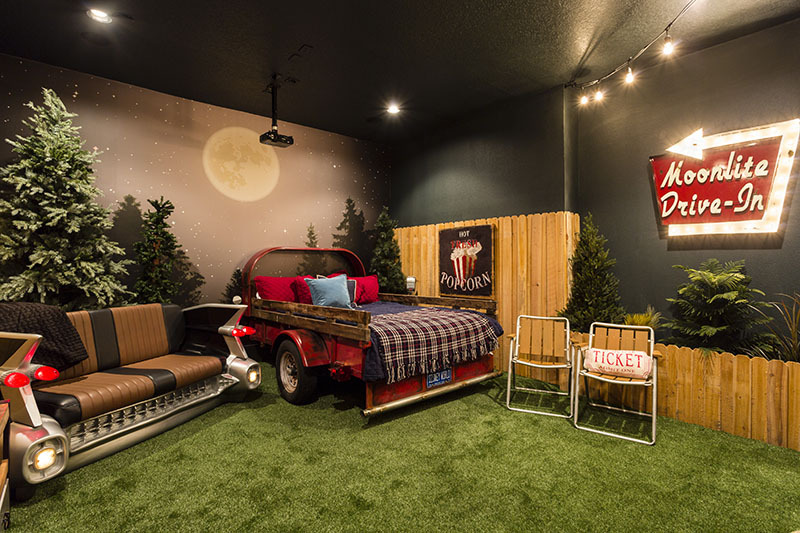 Then there are the treehouse and drive-in movie rooms with artificial grass. 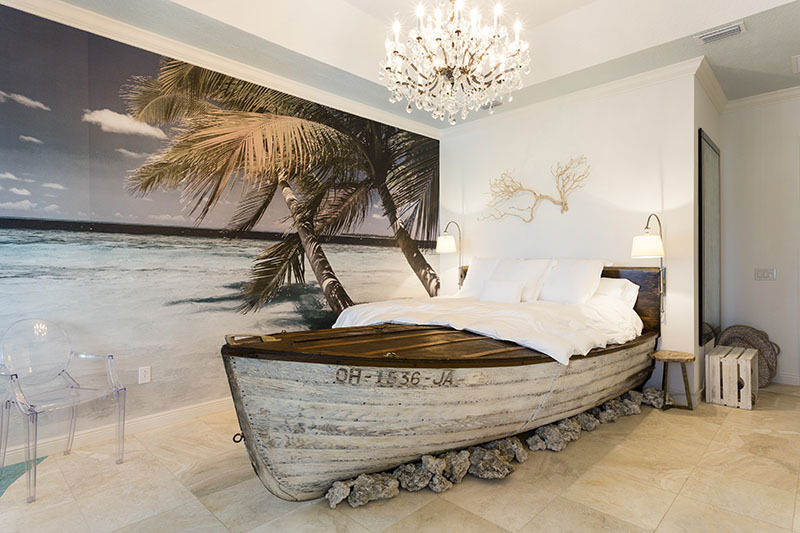 And finally, who doesn’t need a boat in their room? 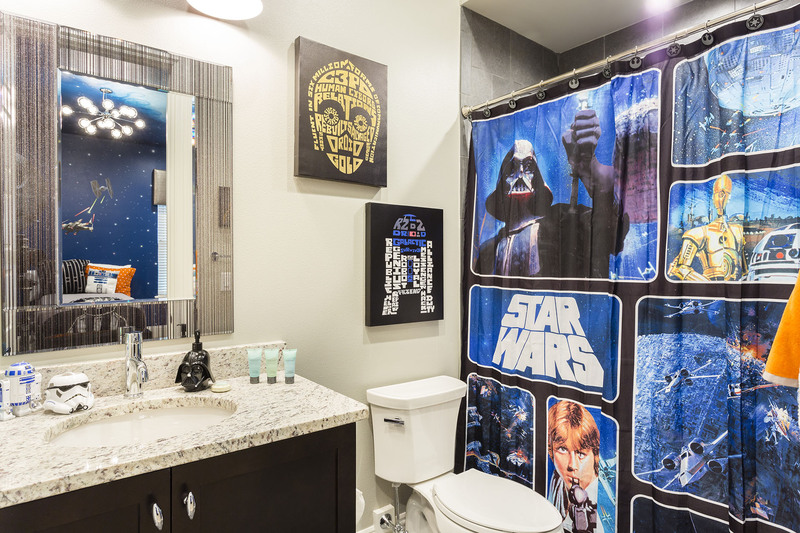 It’s fun to shoot rooms where a designer or owner has clearly put thought into the details of the decor. 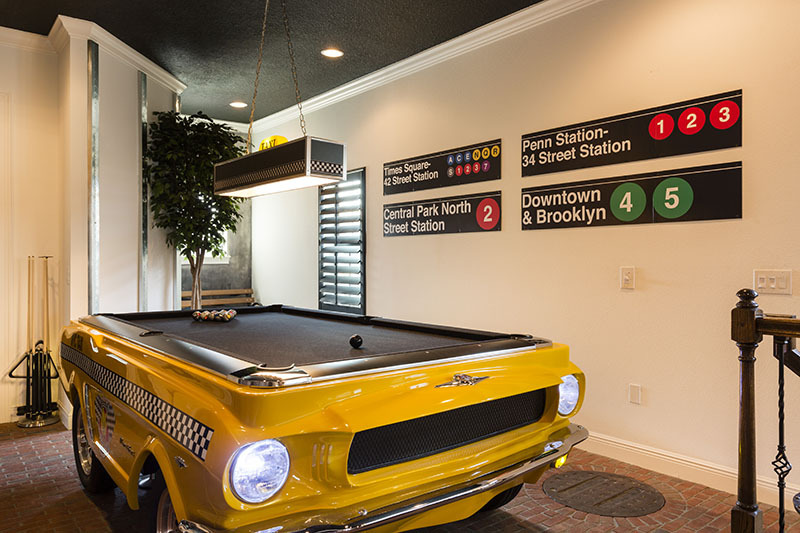 From what I’ve seen in recent months, more vacation home owners are making an effort to get creative and have fun with their designs. 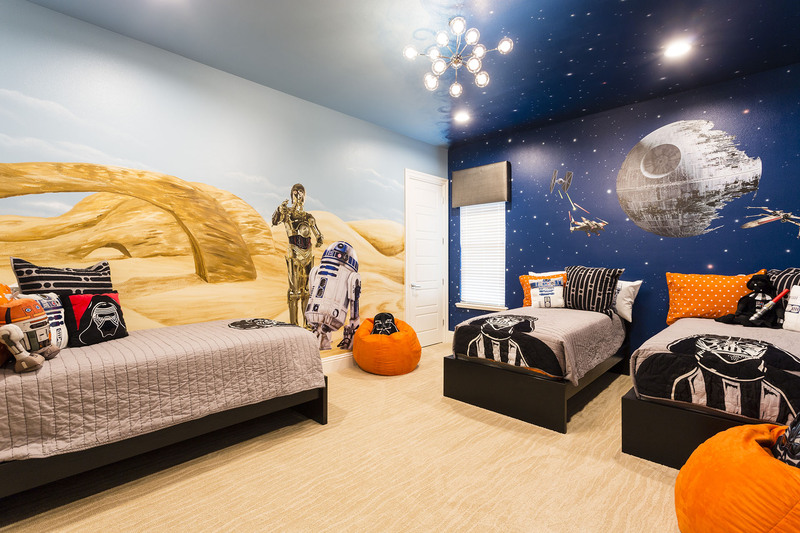 My last post was about how a homeowner and designer came together for some fun and creative theme rooms. 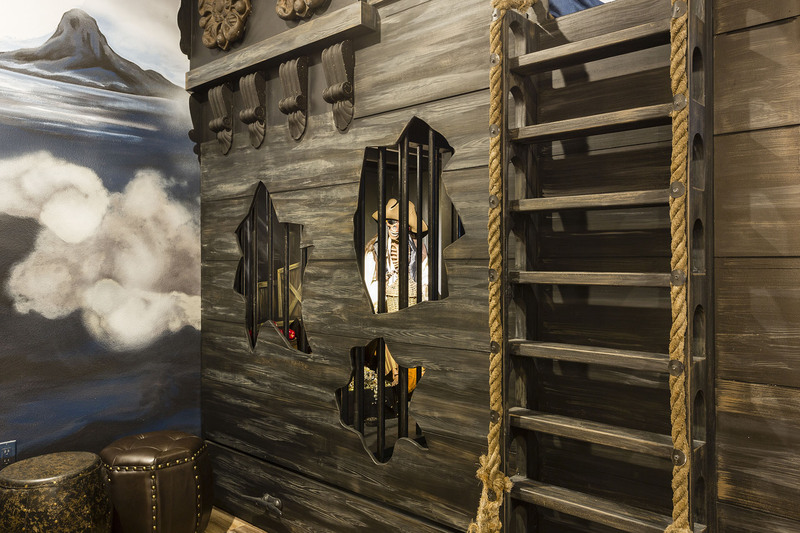 I recently photographed a home where the homeowner added a unique feature to the game and kids room. 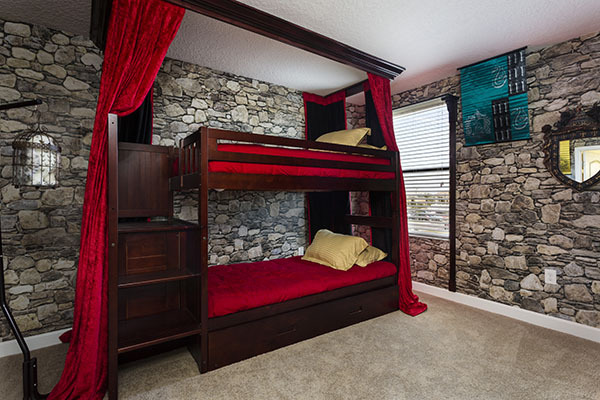 Before I get to that, I want to point out what the designer did with the interior. 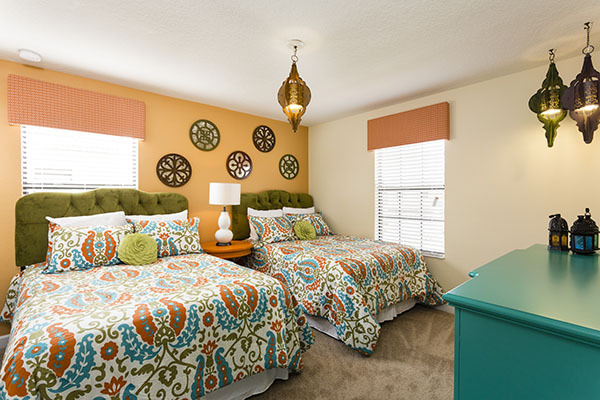 For a long time I have noticed how the decor and paint palette of a home can affect the way I feel about shooting it. 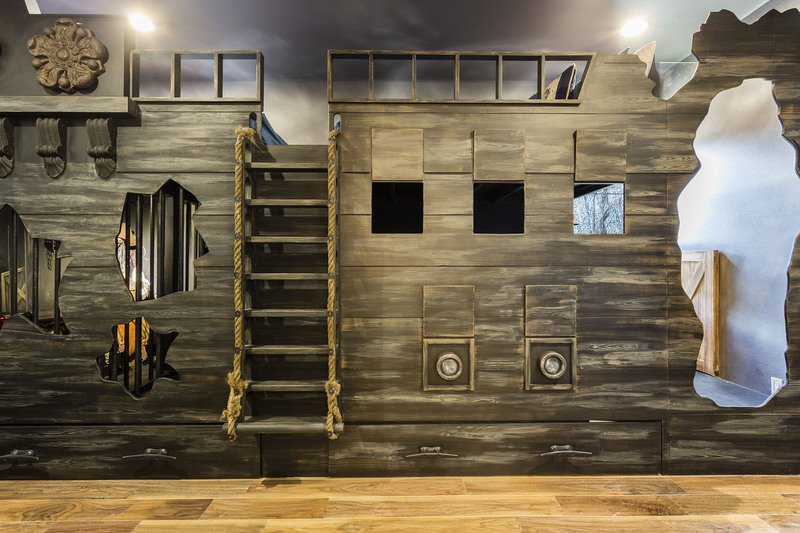 When a home has dark paint and dark furniture, it makes the room feel small and drab. 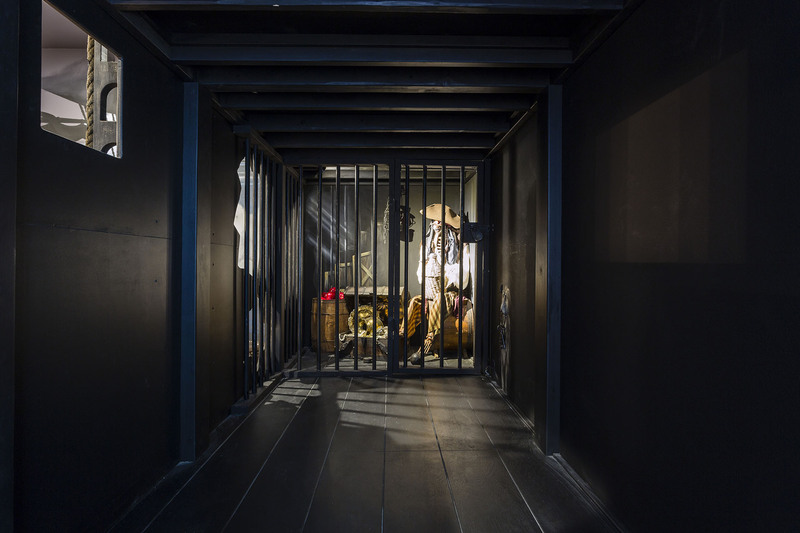 Never mind the challenges of trying to light a dark interior! I find myself trudging through the shoot and not really enjoying it. 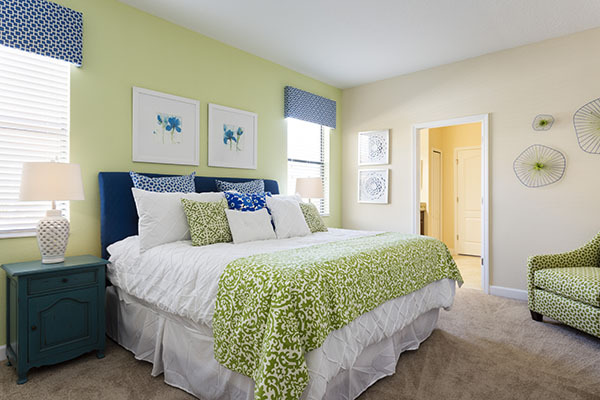 Contrast that with bright colors or even neutral colors with accent colors thrown in. I find it puts me in a good mood and I really enjoy photographing the home. It almost makes it easier to light and that frees up my mind to get creative. 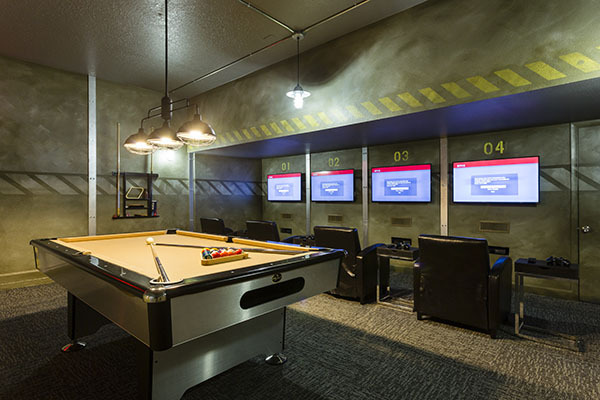 Now check out what they did with the game room. 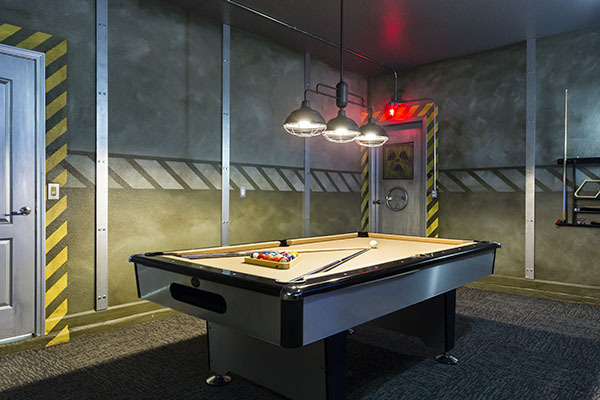 It has a nuclear bunker theme complete with four gaming stations where the kids can play each other in multi-player games or individually if someone wants to play a different game. 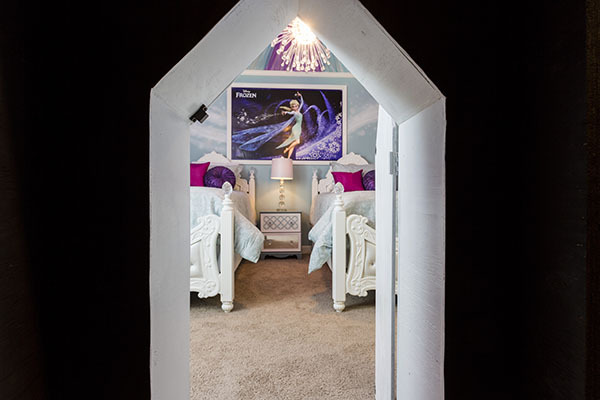 Upstairs on the kids room is a Frozen theme (very popular). 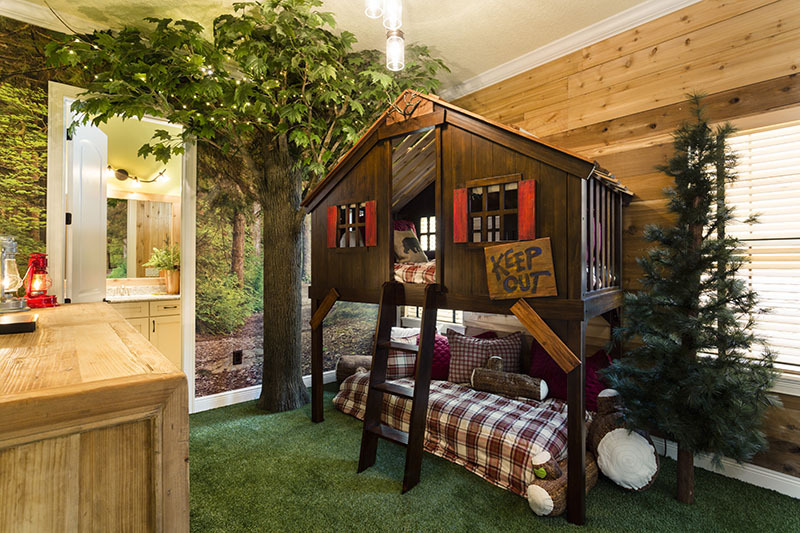 It doesn’t look like much until you open it up and find a little hide-away where kids can play. 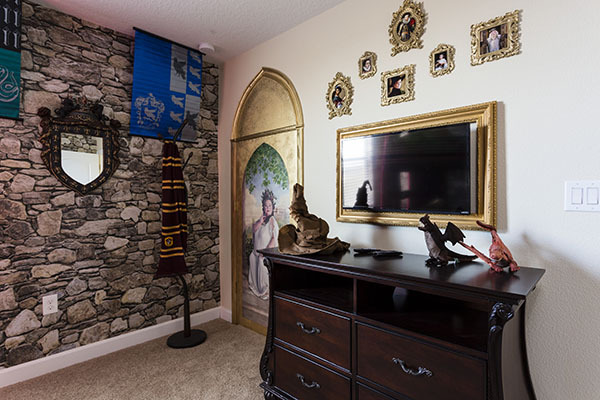 It actually connects to the Harry Potter themed room next door. 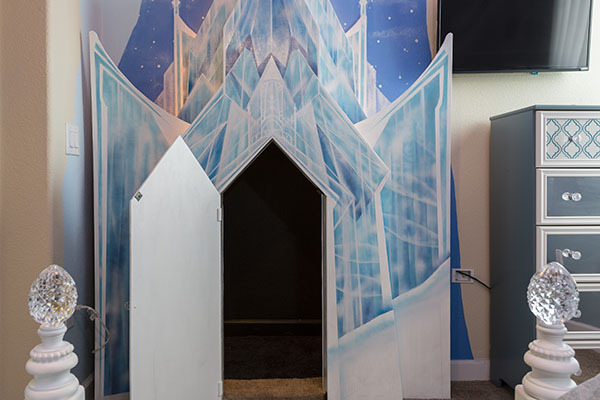 That closet door opens to the hide-away which connects to the Frozen room. Pretty cool, right! ?